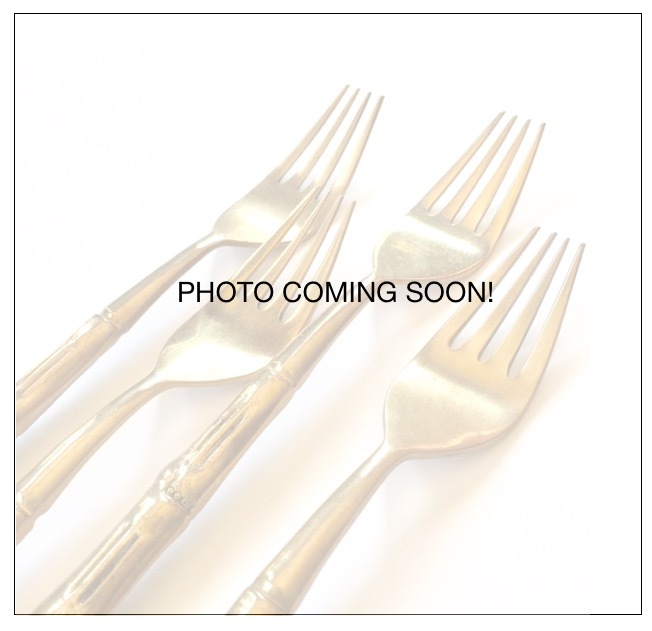 NICKEL BRONZE AND GOLD FLATWARE AND CUTLERY FOR RENT FOR YOUR EVENT, WEDDING, SHOWER, RECEPTION, EDITORIAL OR FILM SET. This nickel/bronze alloy was first created and marketed as “Duragold” by Swedish Metallurgist Carl Molin, circa 1914. It’s not known if the Thai flat ware uses the identical formula as the original Duragold/Dirilyte sets, but it is often listed as “nickel bronze alloy” in the literature/labeling, and has the same general appearance. Whatever the case, we know we love it!